“ ，Slumbering, I know not the spring dawn is peeping. 。But everywhere the singing birds are chirping，Last night I heard the rain dripping and the wind weeping. 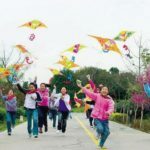 One of the spring activities popular among Chinese people is traveling to see the spring flowers at weekends and on public holidays. .A variety of flower exhibitions will turn the city into a sea of color, including a peony festival at the Luoyang Peony Garden, a rhododendron festival in the Garze county, a cherry flower show at Wuhan University, a peach flower display at Nyingchi county, a wintersweet display in Nanjing, and etc. A pink peony flourishes best at the Peony Garden in Luoyang,Henan province. Peony, a unique flowering plant, is known as the national flower in China. 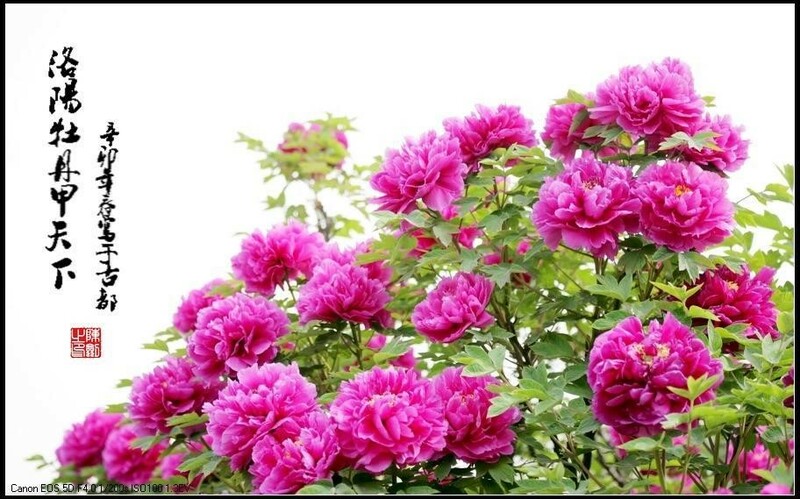 In spring, Chinese people go to Luoyang to appreciate the peony flowers. If you want to sense the elegance of peony, you should visit the home of peony. 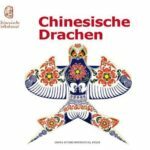 If you are living in the southern part of China and looking for a beautiful place to visit in Sichuan province, Daocheng Yading is a good place to go. It is a national level nature reserve with a mountain sanctuary and major Tibetan pilgrimage site. 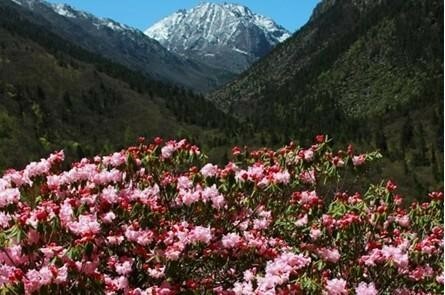 There is a rhododendron flower valley in Yading, so you can avoid being in a crowd and appreciate the beauty of rhododendrons. Colorful flowers, green fields, blue sky and white cloud, that is the paradise in the human world. 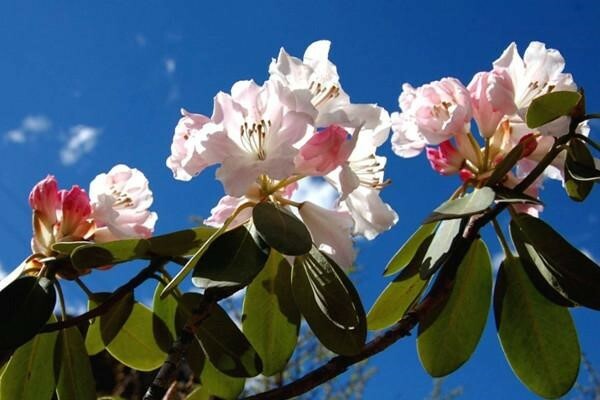 The wild rhododendrons look delicate and brightly colored against the blue sky and white clouds as the light wind is blowing. 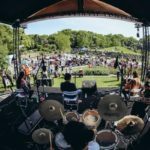 As one of the most beautiful universities in China, Wuhan University is a perfect destination for flower-lovers. When the cherryblossom blooms, plenty of visitors flood into Wuhan University to see the flowers and take pictures. 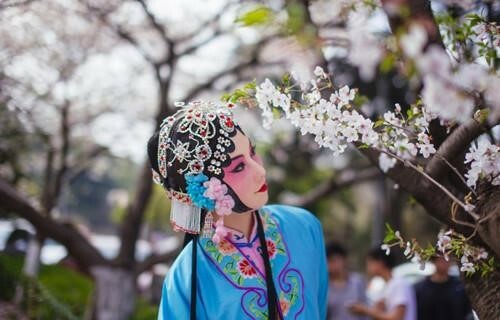 One college student dressed like a Beijing opera performer is appreciating the cherry blossom. Nanjing is a historic cultural city in China and has won the hearts of many scholars and men of letters. The flowers here are worth watching. 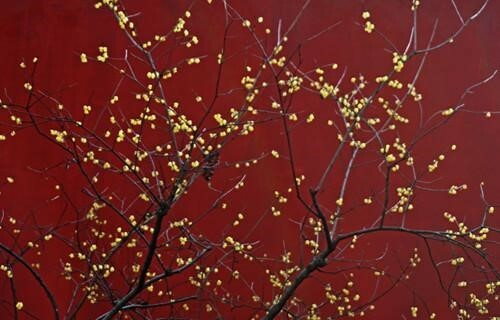 Several wintersweet look beautiful against a red ancient wall.There are yellow, white, purple and pink wintersweet. People living in Jiangsu province go to the Nanjing International Wintersweet Exhibition to enjoy the natural beauty of the world. 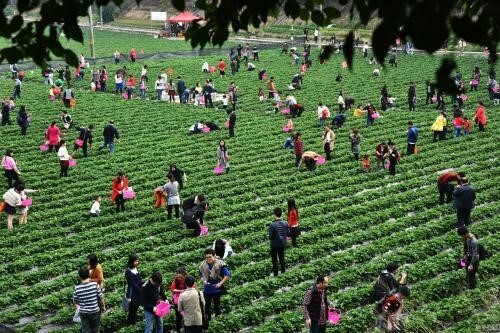 In addition, other spring activities are very popular in China including strawberry picking, an acrobatics and magic festival, kites flying and grass music festival.